This morning I was (once again) trying to sort through the mess of best practices for social media posting. The primary issue I was having was trying to get YouTube links to display large thumbnails on Facebook. You’d think that this would work by default – right? Open graph tags tell the social networks what goodies are available to make your post look pretty. One very important OG tag is the og:image. According to Facebook’s image specifications, to display a large image in your post, the image referenced by the og:image tag must be a minimum of 1200 x 630 pixels. Knowing this, I immediately thought that YouTube must not be offering Facebook a large enough thumbnail image for Facebook to post with the desired results. All of the YouTube links that I tested had a default image with dimensions larger than 1200 x 630, yet Facebook refused to show them in all their glory. Many have run into this same dilemma and have even gone and produced some solutions. 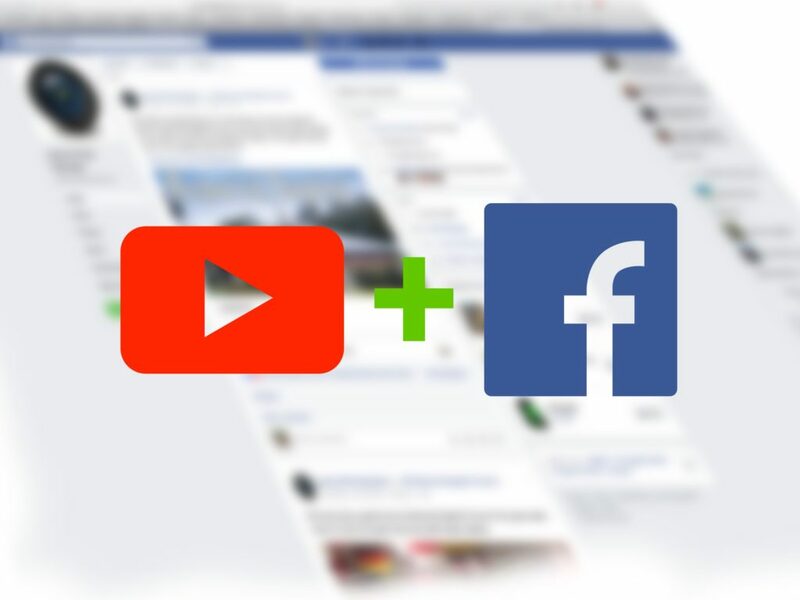 There are several websites that will allow you to paste your YouTube URL into their system and a Facebook-pretty link will be created. While these solutions work, I’m not too impressed. They can’t provide you with a clean link from Facebook straight back to YouTube. They might give you a large thumbnail, but they still don’t link directly to the YouTube video page. Many professional digital creators share their content with a blog post. They simply embed their YouTubes, Vimeos, Podcasts, Gists, and other forms of media. The post is then pushed out to their preferred social networks to gain exposure. This approach makes a lot of sense because it drives traffic back to your place on the Internet where you have the most control. You manage the layout, wording, and, most importantly, the og:image. Facebook users will see a pretty looking post that will grab their attention. When they click through to your site, your media (in this case, your YouTube video) will be sitting right there waiting for them – ready to record viewer stats. I have used several social network managers in the past. One of the best I’ve found is Buffer. Buffer allows you to post videos to multiple social networks at one time. Depending on the social network, Buffer can even post the videos natively. This ensures that you will get the most views on a social network. If you haven’t tried Buffer before, give it a whirl. They have lots of helpful features and information for the social network beginner. Such difficulty in posting YouTube links to Facebook has caused many to conclude that Facebook is trying to suppress YouTube’s presence on their network and promote their own video distribution. This is a valid assumption considering Google and Facebook are major competitors. So while the Internet giants battle it out, we are left to find or create the best work-arounds. What you consider to be “best” will depend on your preferences and goals. Personally, I would probably go the blog route, but native Buffer video posting certainly offers some valuable options as well. Try both out and see what works best for you!